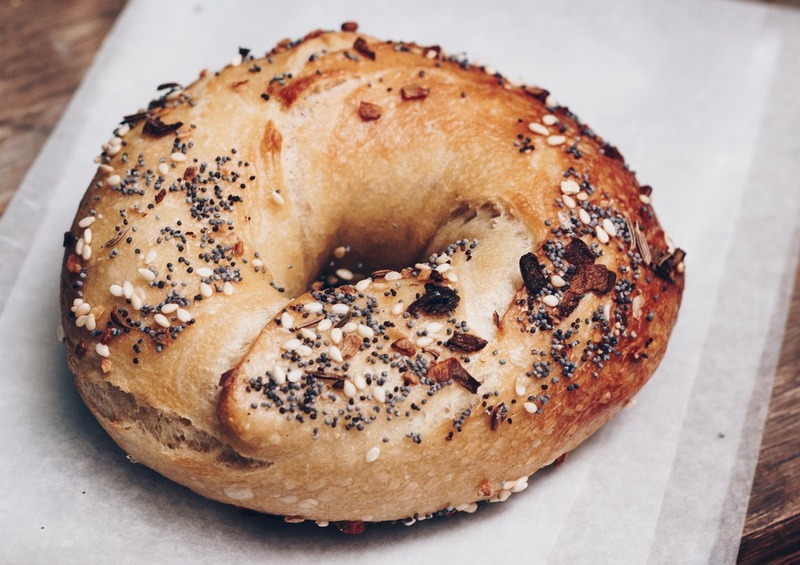 New York City bagels are to die for. But are they worth raising hell at a deli worker for? A man went viral online this week for screaming and then assaulting at a deli worker about his bagel order. The man is heard screaming, "Make my cinnamon raisin toasted bagel with bacon, egg and cheese RIGHT NOW! Right f---king now! Make my s--t right now!" at a worker. According to a report in Gothamist "The NYPD says the incident occurred around 4:30 a.m. on November 25th, at the Hi Mango Natural Market at 1055 Flushing Avenue. According to police, the man got into a dispute with the employee making food orders, and the argument "escalated into a physical altercation, at which time the male threw merchandise at the employee striking him about the head and torso causing bruising and swelling." The customer was told to wait 5-10 minutes for his order since he was behind several other people on line. That's when he started screaming and throwing merchandise at the deli worker's head, causing some injuries. The unknown man hasn't been found yet. In short, bagels and deli sandwiches in NYC are amazing. But they're worth waiting in line for. Don't be a crappy person and just wait in line for your food.